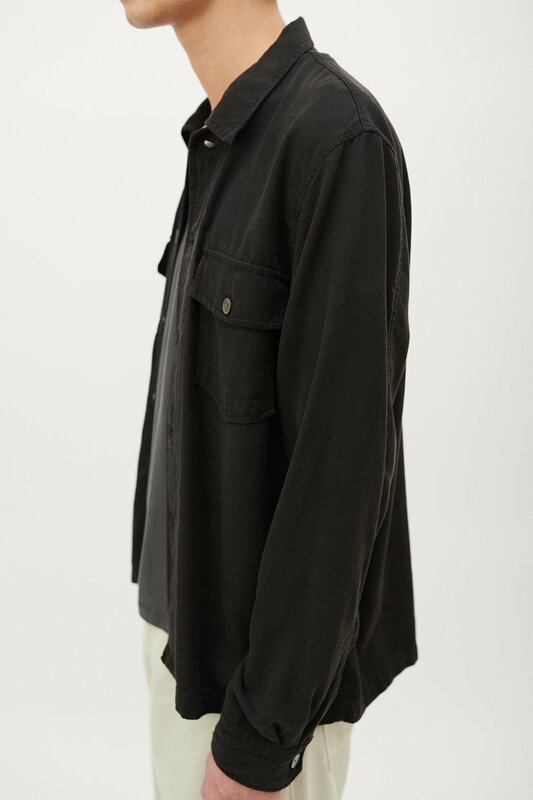 Our Chamois Shirt in Black Silky Wash. 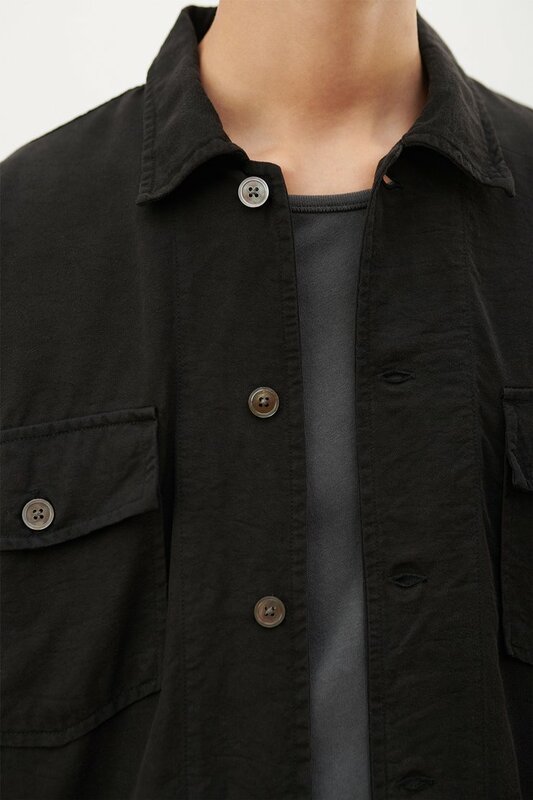 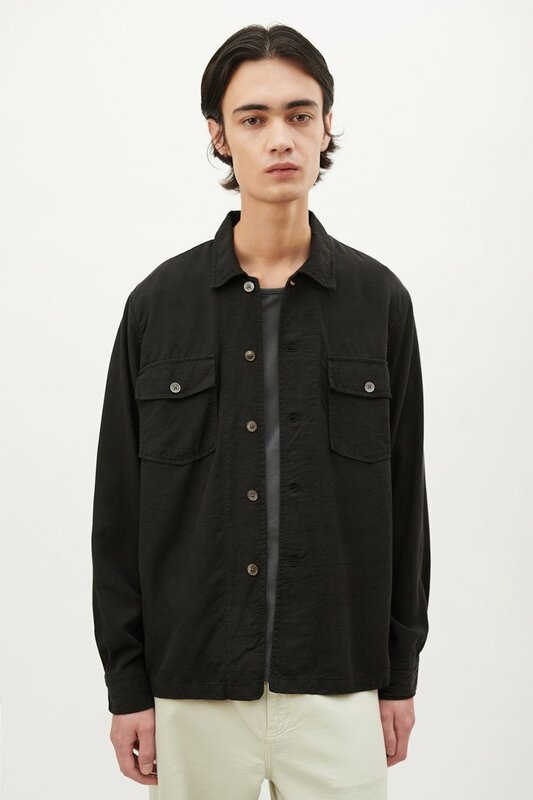 Produced in a silky textured Italian lyocell fabric, the shirt is garment washed to give a vintage appearance and features two flapped patch pockets on the chest, mitered cuffs and large mother of pearl buttons. 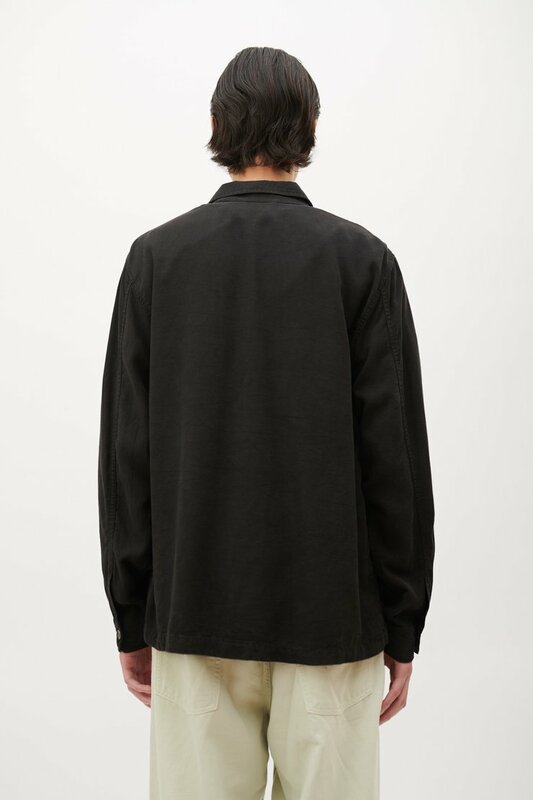 Our Chamois Shirt is true to size with a relaxed wide fit. 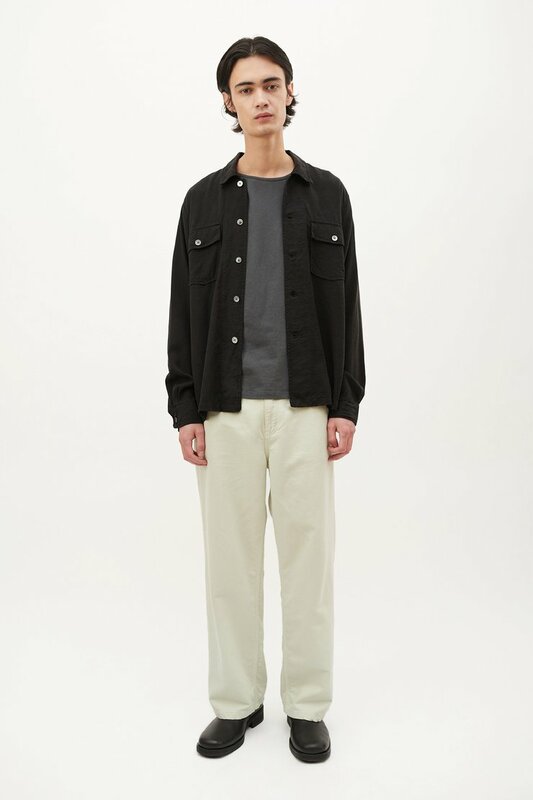 The model is 187 cm tall and is wearing a size M/48.